Now that car sharing companies have made waves throughout the Puget Sound area, more and more customers are riding around in cars they don’t own with car insurance they don’t pay for. Not only is the insurance free to the companies’ members, but the details of the types of coverage and limits of the policy are usually overlooked, which can be a real problem for someone who finds themselves in a serious auto accident involving a vehicle that they do not own. There has been a great deal of discussion about the types and adequacy of liability insurance that car sharing companies – such as Car2Go and ZipCar – provide to their members. I take this as a very positive sign because it means that consumers and influencers in the industry alike are actively considering the potential risks and downfalls that come with the convenience of car sharing. For the most part, it seems like the standard insurance policy provided by these companies carries a $300,000 liability limit. 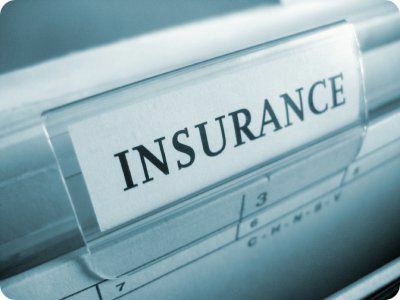 That has increased over time, however, as these companies received a great deal of criticism some years ago when they only offered insurance to match the legally-mandated minimum policy limits. And for drivers under the age of 21, companies like ZipCar actually revert to the state-minimum requirements for liability insurance policies – due to the fact that it would cost the company a substantially higher amount of money to provide $300,000 in coverage to young drivers. According to Jury Verdict Resarch (JVR) – a company that provides data on plaintiff personal injury lawsuits and publishes it for industry research purposes – the median jury award for plaintiff involved in a vehicular accident that resulted in a brain injury stands at nearly $300,000, and additional injuries could make that number skyrocket. Another important aspect to take into consideration is the amount of bodily injury protection that car sharing companies provide through their insurance policy. Once again, the typical ZipCar car insurance policy includes the legal minimums for bodily injury protection, and the total is on a per-accident basis which means the total limit gets split among all injured parties. One of the most beneficial options that car sharers have for auto insurance is to purchase what is called a “non-owner’s” car insurance policy. A $500,000 liability coverage policy costs between $200 and $300, on average, for a six-month policy. And even better, most people can add even more coverage without paying a whole lot more in the premium cost. So for maybe an additional $50 each month – money you are likely already saving because you choose not to own a car – you can ensure that you never find yourself in an intense legal defense battle because ZipCar or whatever car sharing service you use didn’t provide you with an adequate car insurance policy in the event of a car accident. If you have been injured in an accident involving a rideshare vehicle - either as a passenger or as a driver - it is a good idea to consult with an experienced personal injury lawyer to learn more about your legal rights and options. At Davis Law Group, we help accident victims understand when it makes sense to hire an attorney and when the victim may be able to negotiate a fair settlement on their own, without having to pay for a lawyer. Call Davis Law Group in Seattle at (206) 727-4000 or use the confidential contact form on this page to have your case personally reviewed by our award-winning legal team. If we believe we can help, we'll schedule you for a free legal consultation with our attorneys.